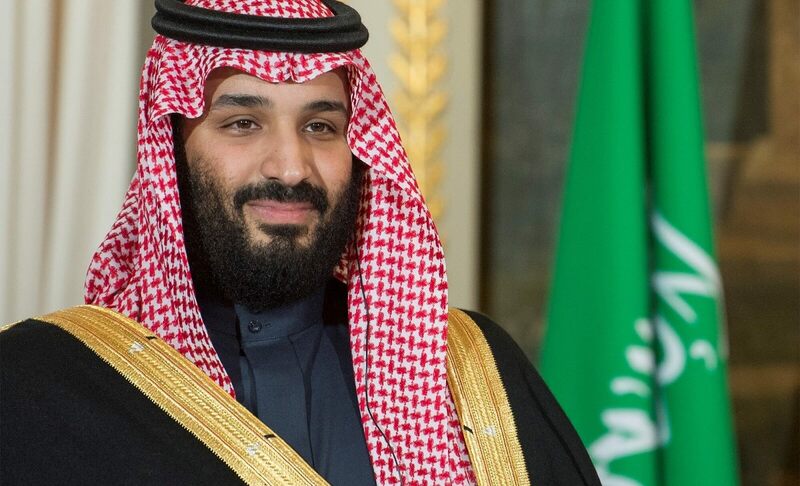 For many months, Saudi Arabia’s young tyro Crown Prince Mohammad bin Salman (MbS) has given the impression he is a very different kind of Saudi leader: more dynamic, more decisive, and, most importantly of all, more transformative than his predecessors. Mohammad bin Salman is trying to keep up with Saudi citizens who are demanding a lot more from their rulers and from the system, not only economically but socially and even politically. In recent days, weeks, and months there have been some signs, even if not decisive ones, that this may well be the case. One sign were the arrests over the past couple of months of a number of leading female activists, just as Saudi Arabia finally lifted prohibitions on women driving. There has been much speculation among observers of Saudi politics about the reason for such an apparently contradictory move. Some have argued that it was designed to placate conservatives in Saudi society outraged at the prospect of women on Saudi superhighways. Others have attributed it to a desire by MbS to demonstrate to these activists, and to the rest of society, that only he will dictate the terms and depth of Saudi reform. With very little evidence other than my gut, I tend towards the latter view. In fact, I think it indicates that even as MbS accepts plaudits for this highly consequential reform, he fears its consequences: that, for example, it might encourage other Saudis to advocate for things he is less comfortable to concede; or that this first step in empowering women will lead to other changes in Saudi society he would be less willing to lead – or, at least, less willing to be held responsible for. Another sign relates to the state of the Saudi economy, and ironically it’s actually good news. According to recent data, the Saudi economy is starting to grow again: in the first three months of 2018 the economy grew by 1.2% compared to the same period last year. But what is critical here is the main source of this growth: rebounding oil prices. Central to MbS’s economic reforms has been a strategy to increase the performance of the non-oil sectors of the economy, including the private sector. This won’t be easy, requiring not only deep reform of the economy but also social, educational, and even to some degree political change (you cannot have a thriving private sector without limiting the impunity Saudi royals enjoy to variously lock up businesspeople on a whim, or even just to cut in on business deals). But with oil income rising again, the temptation will be to do what previous Saudi leaders have done and simply put off difficult decisions on the often-troublesome implementation of reforms for another day. Take “Saudisation”, for example, which is central to MbS’s economic reforms – although in truth it has been a policy applied with varying degrees of intensity since I served as diplomat in Saudi Arabia in the mid-1990s. It has always been a struggle to ensure Saudis were either fit or willing to do the full range of jobs in the economy, rather than to just expect a cushy job in the bureaucracy. I recall a friend who managed the local agency for a prestigious Western carmaker. Compelled by the Saudisation policy to offer two weeks of work experience to four Saudis, he told me how only three of the four turned up on the first day, and only one was still coming by the end of the first week. Things have changed a lot since the 1990s, and Saudis are more willing to work in what are seen to be non-traditional jobs. But it will still be tough going, including for businesses who must put more effort into recruiting or training locals instead of employing expatriates. But with the economy growing and expatriate labour now leaving the Kingdom, there has been a report in the last week that Saudi authorities are considering dropping the requirement to replace 100% expatriate labour in the retail sector with Saudis to 70%. An even bigger indicator has been speculation that MbS’s plan to sell-off a small portion on the state-owned oil company Aramco has stalled and may not go ahead over concerns about the level of scrutiny such a sale would bring would inevitably bring on the Saudi system. The initial public offering was central to MbS’s plans to reform and improve the performance of the non-oil economy, but if the economy is growing again the temptation to step back from such a bold move will increase. Admittedly, these indicators are still thin grist to the constant mill of speculation about Saudi Arabia’s future. The inner workings of its ruling system are opaque at best, even to those who live in the country. But history also counts for something, and there is a long Saudi tradition of a leader’s reformist ambition – or perhaps affectation – being blunted by reality. If it turns out that MbS sits within this tradition, it will be deeply consequential for Saudi Arabia. As I argued in my Lowy Institute Paper, Remaking the Middle East, the old system of rule across the region is decaying, even in relatively wealthy states such as Saudi Arabia. Renewed oil wealth may help delay that decay a bit, but won’t solve the problem entirely because it is not purely an economic one. As other observers have noted, Saudi society is not changing because of what MbS is doing. If anything, MbS is trying to keep up with Saudi citizens who are demanding a lot more from their rulers and from the system, not only economically but socially and even politically. And unlike his predecessors, MbS faces an increasingly starker choice to either engage with those demands or, perhaps eventually, to be overrun by them. There’s a common saying in China: we’ll get old before we get rich.